In recent weeks, discerning fans of a certain potent strain of experimental low end music have found their way to Ethan Glass' latest EP. 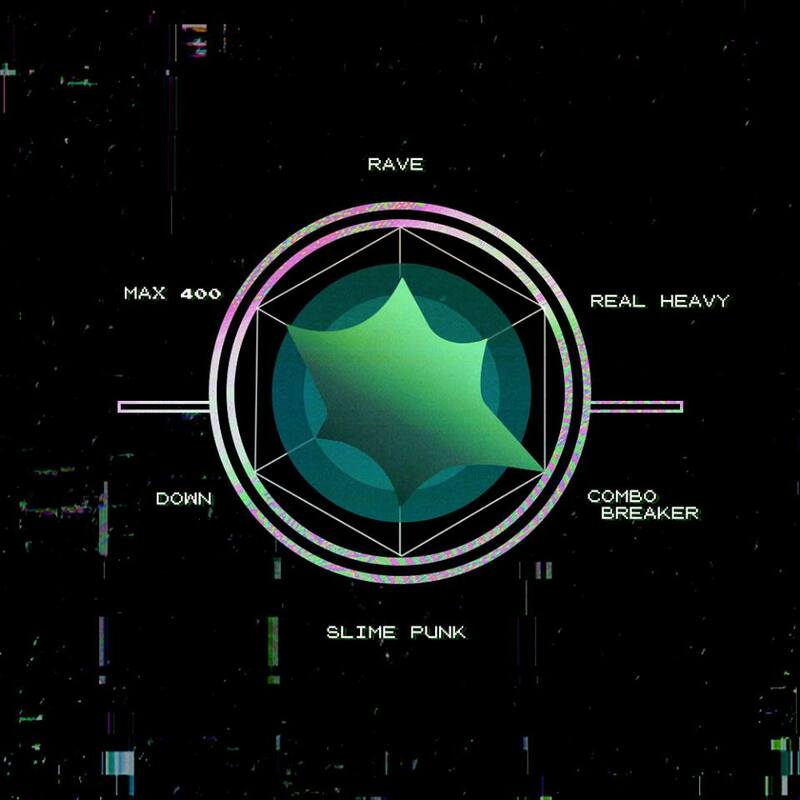 Inhabiting the same slime punk aesthetic of Bleep Bloop, NastyNasty, Sayer, et al., Real Heavy is here to do what it says on its tin and the following four tracks demonstrate exactly how it's gonna go down. The west coast-based producer and performer is a favorite amongst his peers, but thanks in part to the spark of the MAX 400 mixtape and some key festival slots, a broader audience is starting to become aware of the powerful sound of Glass. The title track opens with an unrestrained bout of aggression; manifesting in the defiantly way-louder-than-what-you'd-usually-expect mixing style of the heavy spectral synths, the song automatically sounds like a sweaty MC Ride of Death Grips converted into 1's and 0's. “MAX 400” is also constructed out of a chaotic amalgamation of cross-genre grooves, an orchestra of laser sounds, and a breakcore approach to frenetic sample chopping. “Combo Breaker” and “Down” arguably meet the best balance of positive and negative entropy by equilibrating both the overall cadence and randomness. This latter half of the EP is hungry to devour space cadets and it is absolutely demanding to be unleashed on big stages in summer festivals this year. Ethan Glass delivers on his self-confessed promise of 'computer music' and fans of angry alien bass music with a raw distorted attitude should check these ravenous tunes out to achieve maximum bass-gnashing facial expressions. Glass takes the stage at the Pagoda at Lightning in a Bottle tonight before heading out to Elements Lakewood on the east coast.